Why is Red Bull Blogging About Video Games? I was doing some research for a new post (right) and came across this post for tips on how to win at PLAYERUNKNOWN’S BATTLEGROUNDS, one of the hottest mobile games right now. What’s interesting is the post was on RedBull.com. Red Bull sells energy drinks, they don’t sell video games. Red Bull’s core customer base is male millennials. Male millennials like video games, so Red Bull figures if their customers are going to be looking for content about video games anyway, why not give it to them so they can stay on RedBull.com? 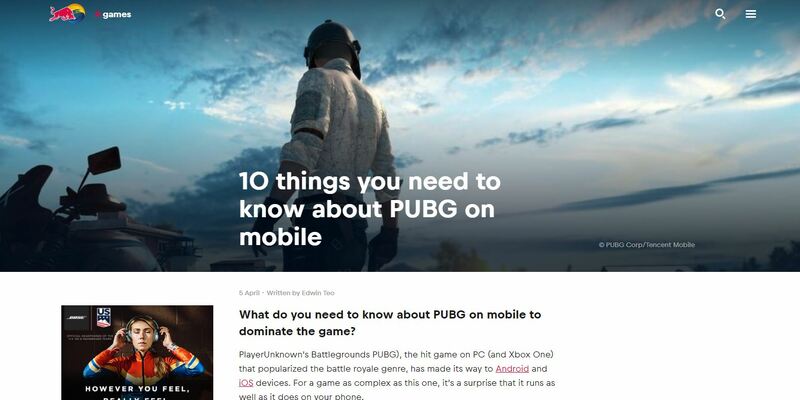 PUBG Mobile is one of the hottest mobile games right now, so why not create the content that its customers will be looking for? There’s plenty of content about Fortnite as well, so Red Bull has all the video game bases covered. I’ve blogged about this before, but Red Bull is involved in the events, topics and themes that are important to its customers. Red Bull’s focus on video games could be part of a larger move to develop a greater presence in the eSports space. Not only has eSports seen spectacular growth over the last few years, but there’s a potential sponsorship play to be had. Emerging competitor G-Fuel has made a name for itself by sponsoring top eSports athletes, including top Twitch streamer DrDisRespect (who I blogged about here). Red Bull has been dipping its toes in the eSports space for a while, the next step could be to start sponsoring eSports athletes or streamers, and help facilitate larger events. It’s a formula that worked incredibly well for Red Bull with the X-Games. The larger content lesson is that Red Bull is focusing on customer-centric content. This is content that really doesn’t promote the product or brand, it promotes the information that its customers want, that can also relate back to the brand. So there needs to be some synergies in place for this approach to work. For example, Red Bull could also write an article on “What You Need to Know to Get Accepted to College”, and it probably wouldn’t work as well, because while it’s also a topic that’s important to male millennials, the brand synergy isn’t as apparent. Go back to the 3rd bullet point above. G-Fuel has started sponsoring eSports athletes and Twitch streamers because they claim that their energy drink keeps you sharp, and mentally focused so you can do better while playing video games. If you’re a Twitch streamer, this has real appeal to you, because if an energy drink can keep you alert and let you play video games better, it literally means more money for you in the form of subs and donations. Red Bull could be making a lot of these same pitches to streamers and perhaps they’ve already started working on securing some sponsorships in this space. 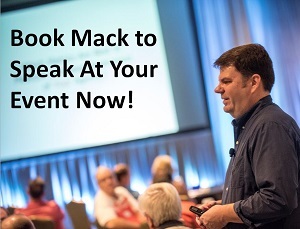 Just remember that some of the best and most effective content you can create often has nothing to do with your brand or its products and services. When you create content that’s focused on your customers and more importantly on how your brand relates to your customers, that’s content that’s top of the sales funnel and does a great job of building brand awareness.